Originally from Sydney, Australia, Rosemarie had always dreamed of making her way to Europe after completing a degree in languages and linguistics. Her first stop was France, then the UK and finally, the land of her ancestry, Italy. A passion for food quickly developed as shopping at local food markets, experimenting in the kitchen and buying way too many cookbooks became routine. 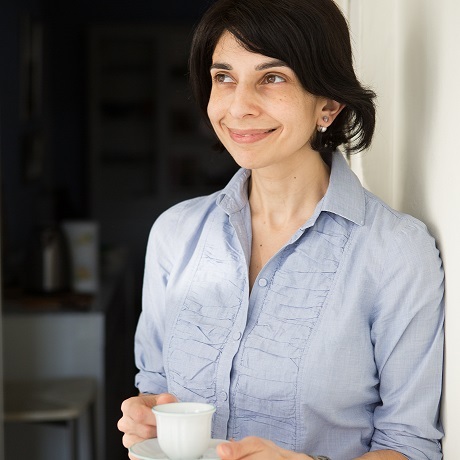 While on maternity leave from her English teaching job in Turin, she started a food blog, Turin Mamma, to give voice to her passion for cooking and food history. If she’s not on Facebook, Twitter or Instagram, she’s probably wandering her neighborhood market in Turin in search of ingredients for her latest recipe. Turin Mamma is a food blog which gives voice to Rosemarie's passion for cooking and food history. Want to find the essential eats in Turin on the go? Download our app to discover the best places to eat in over 275 cities.